When Christendom sent students on a spring break mission trip for the first time in 1999, those involved could not have expected how big the initiative would become over the subsequent years. Twenty years later, over 18% of the student body spent their spring break on mission trips, traveling to Honduras, the Dominican Republic, Peru, Malta, and Colorado, continuing that same spirit of “restoring all things in Christ” that inspired the first Christendom student missionaries all those years ago. Over a thousand students have spent time abroad since 1999, helping to build houses, give to the poor, evangelize, and more. Each year, students fundraise the money necessary to go on these trips themselves, revealing the generous spirit that propels the student body to acts of kindness throughout the academic year. 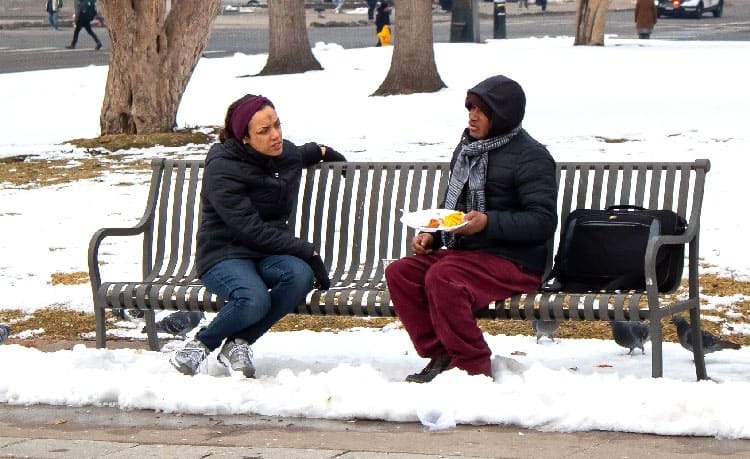 In Denver, students engaged in homeless ministry. In the Dominican Republic, students worked with members of the Diocese of Arlington — including former chaplain Fr. Stephen McGraw — to assist residents in the area. They painted houses, helped with repairs, and more, but spent time with children most of all, providing them with love and attention. 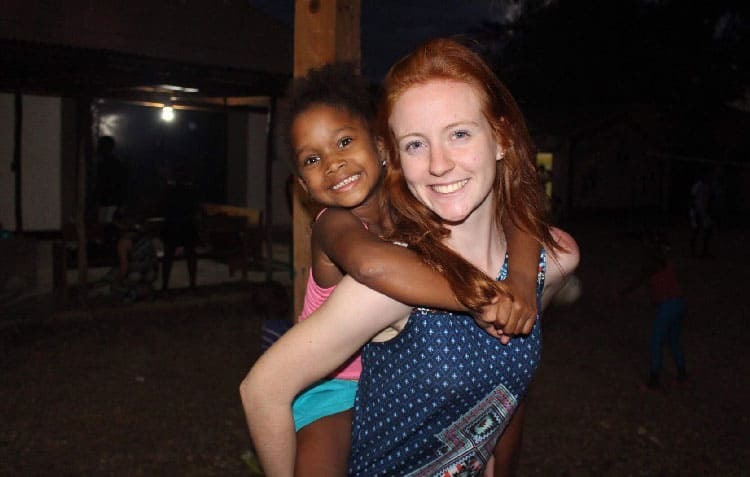 For freshman Julia Eschbach, the experience inspired her to love more deeply and she hopes to travel on more mission trips with Christendom in the future. 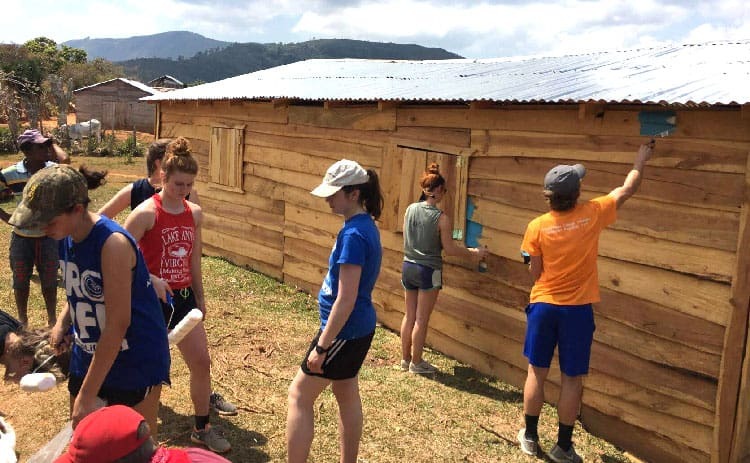 In the Dominican Republic, students helped paint houses, do repairs, and more. Some students also traveled to Peru, returning to continue a construction project they have been working on the past several years. Partnering with Creatio, a non-profit group that serves the poor in that area, students spent their time building concrete staircases on the steep hills of the shantytowns of Lima, in order to ease the burden of carrying water in the desert region. In Honduras, students partnered with the Missioners of Christ to evangelize to the country. Splitting into smaller groups, students did home visitations, assisted at local parishes, and more, giving generously of their time and of their spirit to all they encountered. In Honduras, students split up into groups to evangelize in local communities. That same spirit filled students who traveled to Denver, Colorado. This was the first time students spent time in Denver, and, while a major city in the United States might not seem like a place in need of a mission trip, students found quite the opposite to be true. Partnering with Christ in the City, students spent time with the homeless, giving them food and just talking to them as well. They did night time ministry as well, visiting homeless shelters in the area. Another place visited for the first time was Malta. The country, still very Catholic, gave students the opportunity to grow both spiritually and culturally, while also spending time helping the mentally disabled in the area. 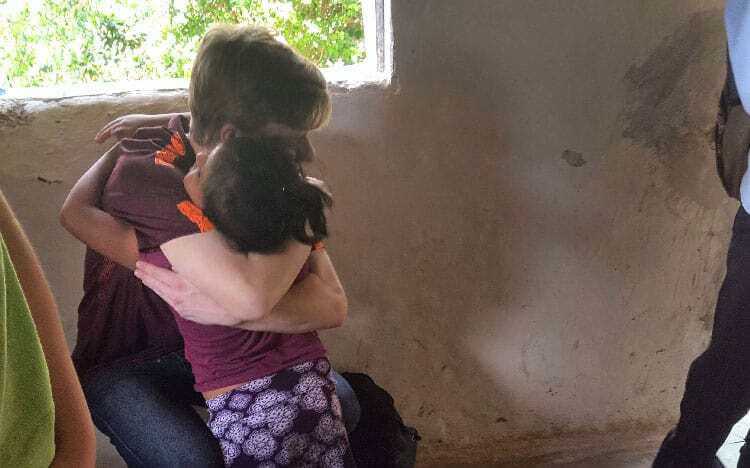 Working directly with professor Mike Brown, who is in charge of the mission trips for Christendom, helped as well, as students saw first-hand the enthusiasm and passion of Brown that has kept the mission trips initiative going for twenty years. Senior Courtney Hahn was inspired by the entire experience and loved the challenge the trip provided. The mission trips initiative may have started small, but it is now bigger than ever, sending students across the world on a mission of evangelization and aid. With figures like professor Mike Brown and others guiding students year after year, the mission trips will continue long into the future, as students travel and bring the love of Christ to all they meet.